De tijd is voorbij dat Volendammers in eigen dracht de straat opgingen. Het dragen van de kleding is nu voorbehouden aan enkele plaatselijke verenigingen, waaronder het Volendams Vocaal Ensemble. Only 1 day per year in June, on “Volendammer day”, the town of Volendam is sent back in time when both young and old dress in the beautiful traditional attire. On other days the traditional clothing can only be spotted in one of the photo shops located on “the Dijk”, where many tourists and famous Dutch and foreign people have had their picture taken in the old attire. Internationally, the traditional Volendam costume is regarded as being “typically Dutch”, which is why many visitors come to see the origins of this unique culture. 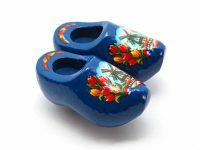 Today, it is worn only by several local associations such as Volendam’s Vocal Ensemble. In addition, the original costumes are no longer being made, therefore adding to the exclusivity and authenticity of the choir.